This class reviews the previous level and introduces new material and techniques. 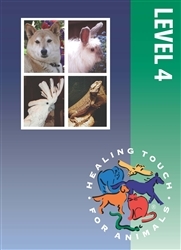 Sound and vibrational therapy is introduced, additional essential oils are presented and advanced techniques are demonstrated and experienced. *The Level 4 Small Animal Class is a prerequisite. The Early Registration Tuition Price is reflected below and ends on September 29, 2019.